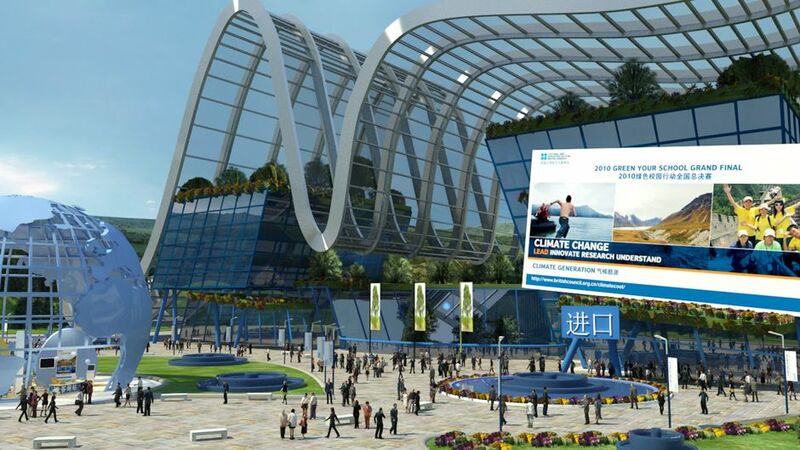 Formally launched on June 21, the Zero Carbon Centre features a user-friendly 3-D environment that resembles an exhibition centre where each partner organization has a multi-room “stand” through which to disseminate climate change-related information, display video and connect with visitors. There is a separate theatre where documentaries by the BBC and Deutsche Welle are screened. The site also integrates WebEx video conferencing technology allowing partners to conduct training and stage webinars for global audiences. The technology lets speakers and moderators post presentations, hold live polls, reply to audience questions and display up to six live video feeds simultaneously. The webinars are free and relatively easy to attend — audience members need a computer with an internet connection and speakers or a headset. The digital hub offers full compatibility with social media platforms and all of its operating emissions are offset, making it a, “clean, smart space for learning, discussion and innovation,” in the words of Steve Lipscombe, a digital manager with the British Council, who worked with vendors CISCO Systems and Imaste to build the Zero Carbon Centre. Built to reduce expenses, engage with wider audiences and “walk the talk” on carbon emissions, the Zero Carbon Centre allows several globally prominent organizations committed to building a more sustainable future to work together. The partners include UNICEF, UNU, the UK’s Department of Energy and Climate Change, The Carbon Trust, Indian IT giant Infosys, BBC and Deutsche Welle. “The partners have stands on the site that help them — and us — broaden the scope of their and our work by harnessing the cumulative reach of our combined networks,” Lipscombe explains. During the COP 16 UN Climate summit in Mexico last December, the Zero Carbon Centre was showcased through the staging of three youth debates in partnership with UNICEF. These debates linked British Council Climate Champions who were in Cancun with peers in countries such as China, India, Sudan and Germany and senior officials from Britain’s Foreign and Commonwealth Office and Department of Energy and Climate Change. (Climate Champions operate community projects that promote understanding of climate change). “These debates were opportunities to inform, give a voice to, and harness ideas from people around the world who could not attend COP 16,” says Nadin. “They gave participants the chance to listen, ask questions and make suggestions, and this is central to building support for international agreements on climate change,” she added. A second trial, held in winter 2011, demonstrated the potential reach the Zero Carbon Centre can have. 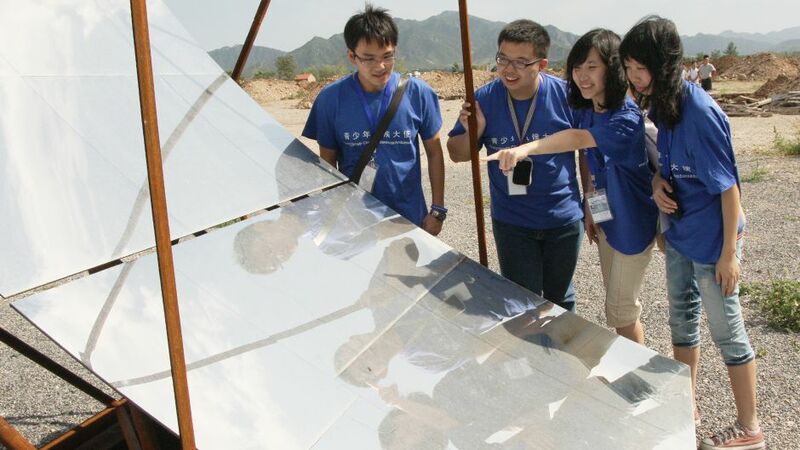 A Mandarin Chinese version of the platform was used to host the national final of the British Council’s “Green Your School” competition in China. Each of the 43 finalist teams from across the country showcased its project to make its school more environmentally friendly by uploading video presentations, photos and other documents to a stand on the site. “The results exceeded our wildest expectations,” says digital manager Lipscombe. “By hosting the Grand Final on the Zero Carbon Centre we saved 56 tonnes of carbon and tens of thousands of dollars compared to last year when we hosted the event offline. We also attracted a far larger audience than last year, as more than 1.2 million unique visitors cast more than 2.7 million votes for the teams on our partner’s voting site,” Lipscombe says. “The event was widely reported on the Internet, with 1.4 million people reading blogs, miniblogs, and online forum posts around the topic, and China Daily posted a video report about Green Your School on its site that attracts 3.6 million unique users daily,” he adds. One of the Centre’s most important webinars focused on “The Barriers to Communicating Climate Change”. Moderated by Dr. Nadin, who has conducted extensive research on climate change reporting on China, the conversation featured Jonathan Watts, Asia Environment Correspondent for The Guardian, and Gemma Regniez, a strategic communications advisor on climate change for the British government who contributed to the book Engaging the Public with Climate Change: Behaviour Change and Communication. The speakers and audience of media professionals, NGO leaders, business managers and youth advocates attended the launch by logging on from homes and offices around the world. “If we had staged this event offline, we would have been obliged to fly the speakers to a venue and put them up in a hotel, incurring significant costs in money, time and carbon. What’s more, we never could have attracted such a diverse audience,” Nadin said. In the next few months, the British Council is organising a webinar series on topics ranging from nuclear energy to sustainable cities. According to Christopher Palmer, who directs the Climate 4 Classrooms project and represents the Council in discussions with the United Nations Framework Convention on Climate Change, talks are underway about using the site as the virtual home of the COP 17 UN climate change summit in Durban, South Africa. For more information on webinar topics and session details please visit the Zero Carbon Centre website. Virtual Engagement: British Council’s Zero Carbon Centre by Adam Pillsbury is licensed under a Creative Commons Attribution-NonCommercial-ShareAlike 3.0 Unported License. Adam Pillsbury is the senior communications manager for Climate Change and Sustainability at the British Council where he promotes programmes such as Climate Generation, E-idea and Climate4Classrooms to global audiences. Prior to joining the UK-based organisation, Adam wrote for newspapers, magazines and business newsletters and was the founding and managing editor of Immersion Guides, an independent publisher ofEnglish-language books and maps about China, where he has resided for 13 years. Check out the stunning World Environment Day Photography Exhibition in the ‘About us’ Reception area. Images from around the world. Yes, these are great pictures…. wonder if there are plans to promote the Zero Crbon Centre as part of our Education & Society SBU …..